I really do wish that I knew for the life of me what that turtle was thinking . . . in fact I'd probably be interested in knowing what all turtles are thinking . 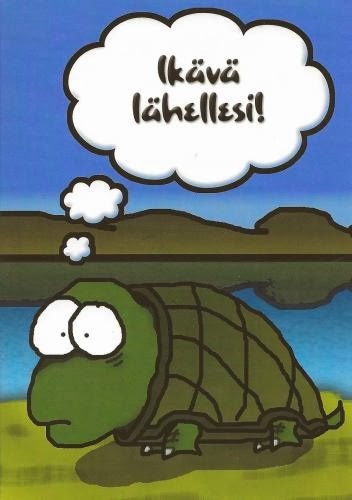 . . aside from snapping turtles that are just about to bite you, their thoughts are pretty self-explanatory. There was another image of the turtle on the back. The sender also used a really cool Angry Birds stamp, which had an image of that yellow, triangular bird sailing through the air on a purple background. It was adorable, and I complimented her on her stamp choice when I left my Thank You message on Postcrossing. Items 1-5: Postcrossing Post Cards! I'd gotten a bit behind on sending out some post cards, so I decided that I would do a batch at once. Now it's probably painfully obvious that all the cards have the same image on the front. I haven't sent out cards with the same picture on them before, but I'm currently not in a financial position to purchase a batch of any really nice, unique post cards online. 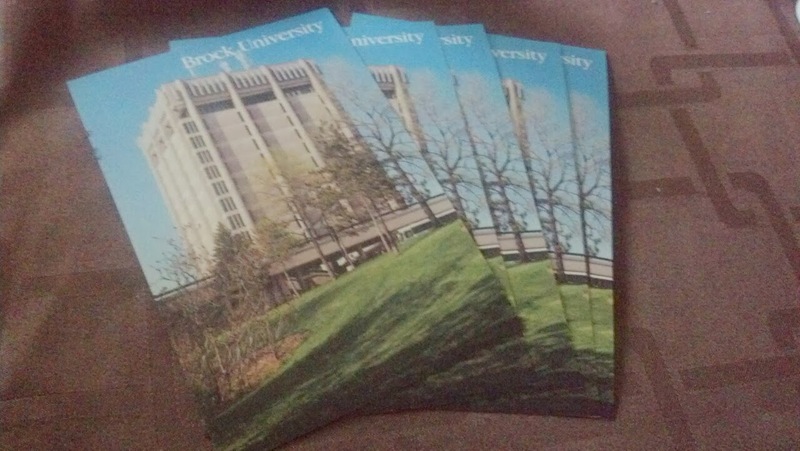 As to where I got these, the short (and also obvious) answer would be Brock University, which is my school, but I didn't actually have to buy these. I found out first year that the store typically keeps a stack of free post cards by cash that they offer to students. Remembering this, I had one more book to pick up at the store, and when I was up at cash I asked if there were any post cards around. The lady at the next cash register said to me that she had a stack of free ones, and how many did I want. My answer, meekly enough, was, "How many am I allowed to have?" In response, she gave me the entire stack! I now no longer have any shortage of post cards with an image of Arthur Schmon Tower. Even so, I do feel kind of cheap with sending out the same stock cards to everybody even if the messages on the back of the cards are always unique. I shall be looking into getting some new cards fairly soon. This batch of Postcrossing cards was actually a little different from the rest because I was being assigned some unique people from all over the world to send cards to. The first one that caught my eye was a 26 year-old woman who enjoys crafting in her spare time. Immediately my thoughts went to the IGGPPC, and I wondered whether or not she was a member. So I attached an IGGPPC sticker to her post card after I asked her about it in the message I wrote for her. I had to trim the sticker down a bit so it would fit, but I made sure the title and the link were still there. Also, I was assigned to send a post card to a girl in the US, which is always one. 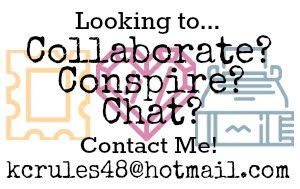 The best part was that it showed in her Postcrossing profile that she has a snail mail blog just like I do :) I told her about mine and asked if she could take a look at it and tell me what she thinks of it. It's really cool to hear of somebody that is doing something similar to what I am trying to do here! Oh, one more thing! 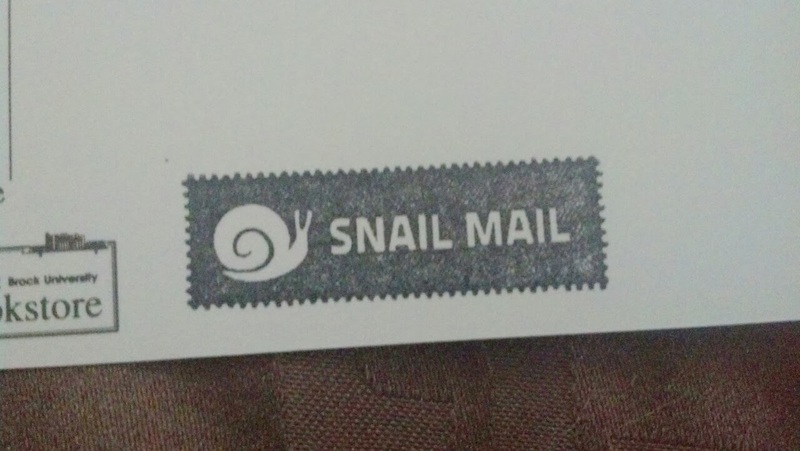 I had some free space on some of the cards that I sent out, so I decided to get some use on my brand new, super amazing Snail Mail stamp! That's it for mail-related writings. I'll keep you guys posted.